They bring anti-Semitic speakers to campus. They set up aggressive displays on campus that spread lies about Jews and Israel. They break university policies by invading students’ privacy to send anti-Israel messages. They harass Jewish students who attempt to create a dialogue with them. Who runs “Israel Apartheid Week”? Anti-Israel groups such as Students for Justice in Palestine (SJP) and Jewish Voice for Peace (JVP) organize this hate-filled week. 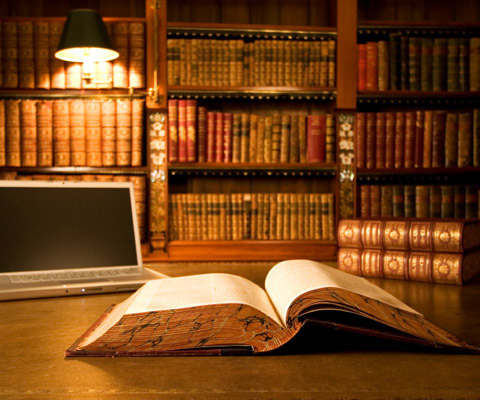 Please click on the groups’ names linked in this section to learn more about the organizers of IAW. What types of events does “Israel Apartheid Week” feature? They hold rallies where they chant for the destruction of the Jewish state. Examples of these anti-Semitic chants include, “From the river to the sea, Palestine will be free!” and “Zionist state, tear it down!” They also chant, “We support the intifada!” (see video below), referring to the wave of Palestinian-Arab terrorist attacks during the Second Intifada that murdered hundreds of civilians. They set up “apartheid walls” on campus where they disseminate false information about Israel’s treatment of Palestinian-Arabs. These walls contain vicious lies that cross the line into anti-Semitism (as defined by the U.S. State Department’s definition of the term) and send the message that the Jewish state is responsible for all world problems. 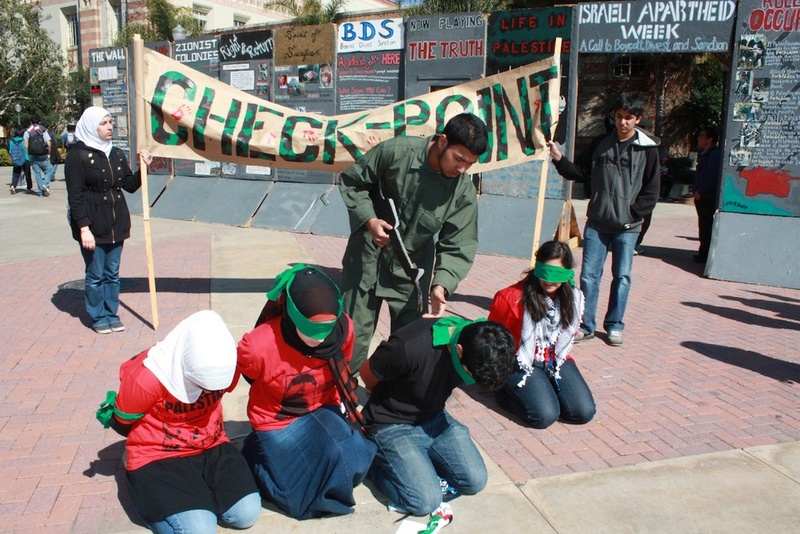 They set up “mock checkpoints” in the center of campus where they role play IDF soldiers abusing Palestinian-Arabs. These aggressive and sometimes harassing displays spread lies about the IDF and aim to isolate Jewish and pro-Israel students. Anti-Israel activists at UCLA set up a mock checkpoint and spread baseless lies about the IDF (photo credit: AMCHA Initiative). 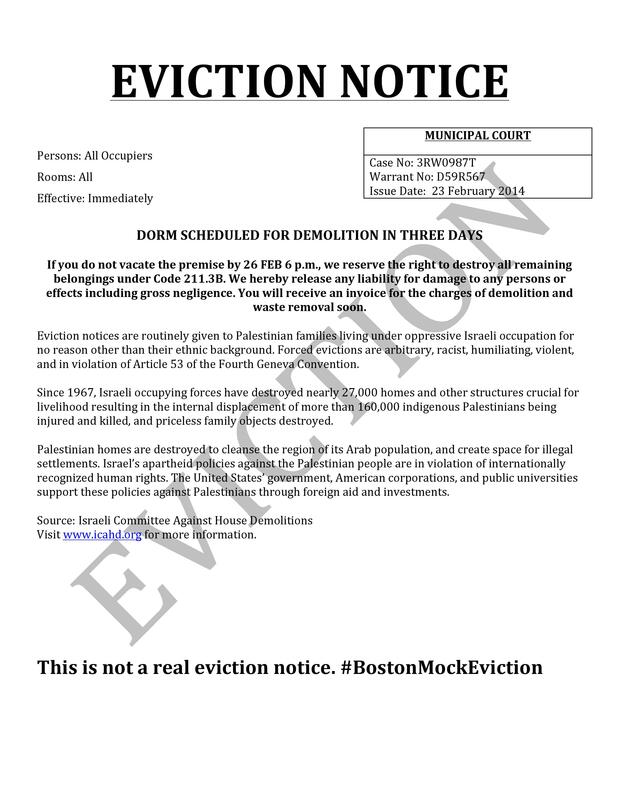 They slip “mock eviction notices” under the dorm room doors of students. These notices tell students that their dorms are being demolished and they have only a day or two to leave. They then tell students that this is similar to what Palestinian-Arabs endure at the hands of Israel. 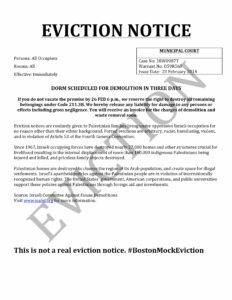 Not only do the students who create these notices spread lies and demonize the only Jewish state (while ignoring actual human rights abuses around the world), but they also break university policies by invading the privacy of students on campus. How does “Israel Apartheid Week” relate to the BDS movement? Many anti-Israel activists use IAW to push resolutions through student governments that call for the boycott of Israel. They also push the BDS agenda through many of their IAW events. These resolutions and events aim to garner support for the destruction of the only Jewish state. Please see ZOA Campus’s page on the BDS movement to learn more about the how the movement is anti-Semitic, anti-peace, and anti-Palestinian.